Vasilis Xenopoulos is an endorsing artist of Rigotti Reeds S.A France. 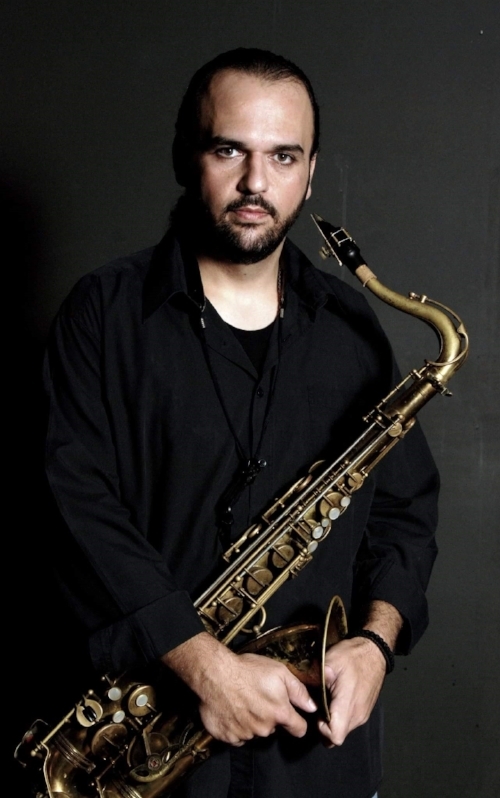 IOANNOU enrolled at the Berklee College of Music in Boston, where he studied saxophone performance and Jazz Composition. Charis won the Woodwind Achievement Award in the last year of his studies in Boston and in 2001, after graduation, he moved to New York where he stayed for three years. While in New York, Charis earned his Master’s Degree in performance from the New York University and in the meantime performed and taught around the state. The return to his homeland country found Charis collaborating with various musicians and appearing in all the major clubs and festivals around Cyprus as well as various venues around the world including performances in Greece, Kuwait, Kazakhstan, Poland, Serbia, Spain, England, Italy, Luxembourg, Belgium, Holland, Lebanon, Germany, Senegal and the U.S.A.
Charis has also collaborated with the American Embassy in Cyprus in a Bi-Communal Jazz program called Jazz Futures through which he has appeared all over Cyprus performing alongside the group of Ari Roland and Chris Byars for 6 years during the period 2007-2013. In 2015 he led BopCy, a quartet with all Cypriot musicians and won the 2nd place in the first Greek jazz competition held in Athens in the same year and appeared in Syros as part of the International Jazz Day 2015. He has conducted numerous workshops in Cyprus, Lebanon, Greece and Italy. Charis is currently teaching the saxophone and the jazz idiom at The University of Nicosia and continuing to perform and record as a leader as well as a sideman in Cyprus and all over the world. In July 2018 Charis was featured by the Athens Big Band during the band's 20th year celebration with an astonishing performance at the Technopolis Cultural Center in Athens, Greece. Iacovos Parpas studied jazz music at the Berklee College of Music in Boston, MA. His return to Cyprus found him busy in the music industry teaching and performing as a leader or sideman. He started giving lessons of saxophone, clarinet and flute. He's been teaching the music idiom in public Schools for 13 years now and since 2017 he is a member of the faculty of the European University in Cyprus. During his career he's been on stage with many important Greek and Cypriot musicians and participated in CD recordings, theater and TV productions. Parpas was one of the creating members of the Cyprus Big Band. During his 20years offer in the music scene of the island Parpas has participated in many festivals and performed at the most important jazz clubs and main stages of the country.